On the morning of the eve of Veterans Day, November 10, 2016, Ms. Marie Little’s Automotive SkillsUSA Club members, along with the Pride of Pueblo (band) and our cheerleading team performed a flag-raising ceremony to honor those who serve and have served our country. Specifically, the following were honored: our Davis-Monthan airmen currently serving here in Tucson, and all of the veterans in our community. This event also paid homage to the Marine Corps’ 241st birthday. 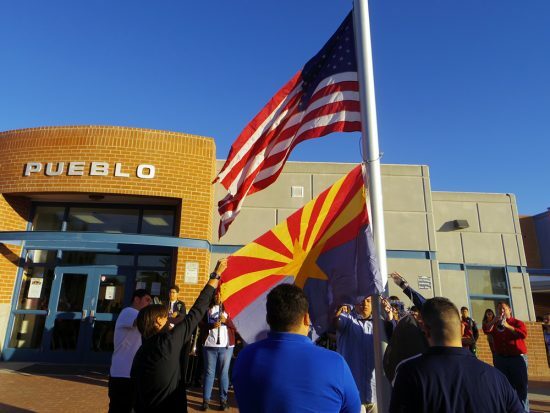 Later that day, just before the end of seventh period, Ms. Marie Little’s Auto Club retired Pueblo’s flag back to her auto classroom. The old American flag will be placed into a box and attached will be the names of former auto students currently serving in the military. Then, on Monday, Nov. 14, before first period, the new flags (U.S., Arizona and P.O.W.) were raised by students in the Pueblo Auto Club. On Oct. 10, Pueblo’s boys and girls basketball hosted the first annual Burney Starks Alumni Game. Along with Assistant Principal Frank Rosthenhausler, former coaches and athletes participated against current athletes. Starks passed shortly after the end of the last school year, and as a Warrior who graduated in 1968, he always strived to make things better, and it was always a dream of Starks for alumni to play against current players. 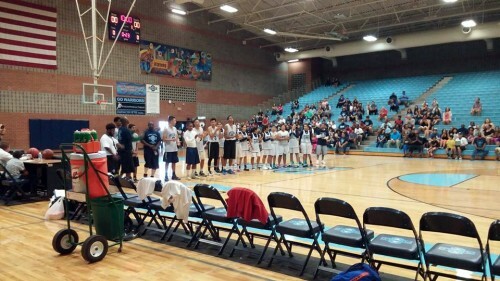 There were about 20 alumni players at the game, and they played our current boys’ basketball team during the first half and played against our current girls’ basketball team during the second half. Rosthenhausler said this was a great event, and he’s happy to see future, current, and alumni faces all enjoying the same activity. On Thursday, Nov. 20, Pueblo Magnet High School’s very own MEChA Club demonstrated their support and respect to the 43 students who vanished on Sept. 26 in Guerrero, Mexico. The 43 students were on their way to protest the lack of funding in their school when they were stopped by policemen and were said to be taken. 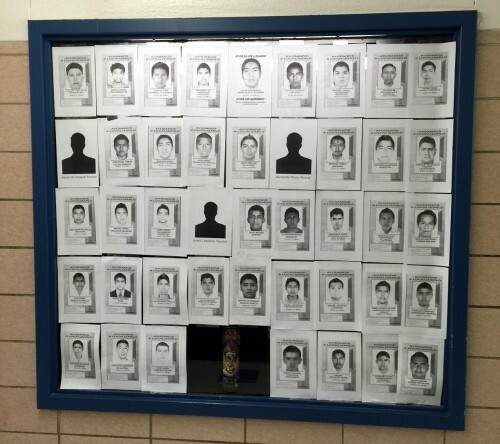 Their whereabouts are still unknown, and the investigation on these students has been on going ever since. Pueblo’s MEChA students decided to participate and take a stand in these demonstrations to inform the Pueblo community of the situation happening in Mexico. 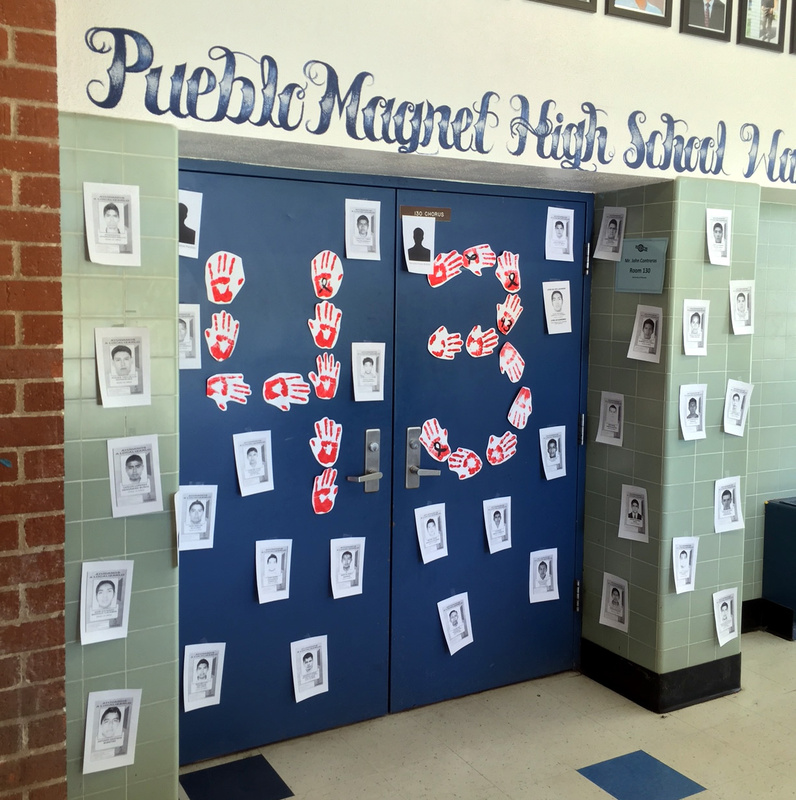 The displays included 43 ribbons, posters hung on teachers’ doors, and 43 chairs laid out in the patio with the pictures of the students. 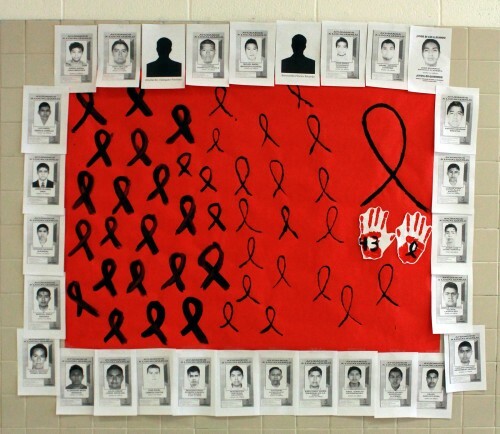 “The pictures and displays were a way to humanize the students and to show that this could have happened to anybody fighting for their rights,” said teacher and MEChA. 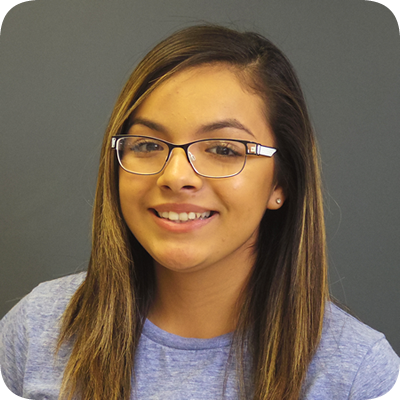 Co-counselor Jessica Mejia. “This event has been a lot like starting a new revolution for Mexico and putting pressure on the Mexican government to change and take back their country,” said Mejia. Although MEChA and other protesters around the world brought attention to this situation in Mexico, the support towards this cause and the search for the students does not end here. 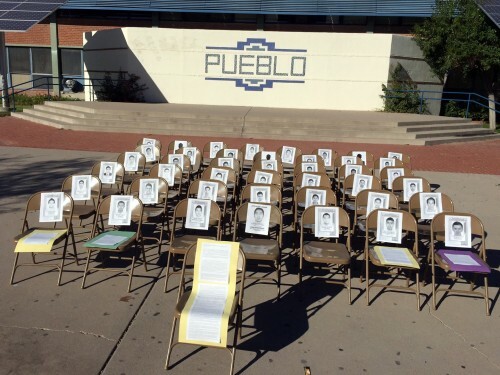 “This is a continuing issue and the people protesting are not going to rest until the 43 students are found and their family receives some closure,” said teacher and MEChA Co-counselor Mr. Jesus Orduño. MEChA encourages the Pueblo community to follow along with the story in Mexico and to continue showing their support for the families. 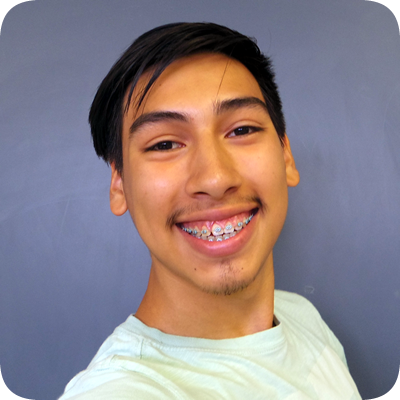 “MEChA is about seeking social justice and we have a lot more in store for this year. We meet every Friday, and our door is always open to new members,” said Orduño. The Pueblo Community lost a dear friend and colleague, Mrs. Martha Arellano-Gutierrez, on April 18. 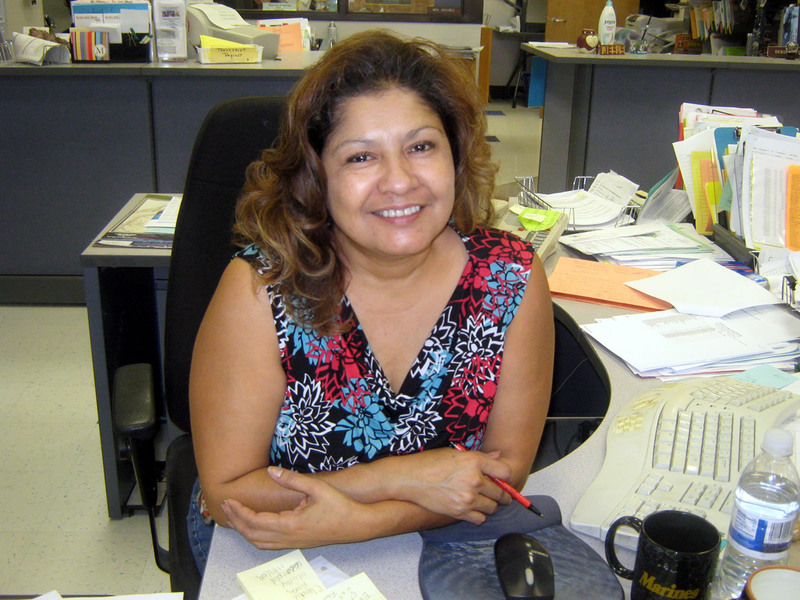 Martha devoted 17 years at Pueblo, beginning as a receptionist and then becoming a staff assistant and an attendance clerk. She also volunteered much of her time with Pueblo’s after school activities. Pueblo teachers and staff members remember Martha fondly and with great affection. 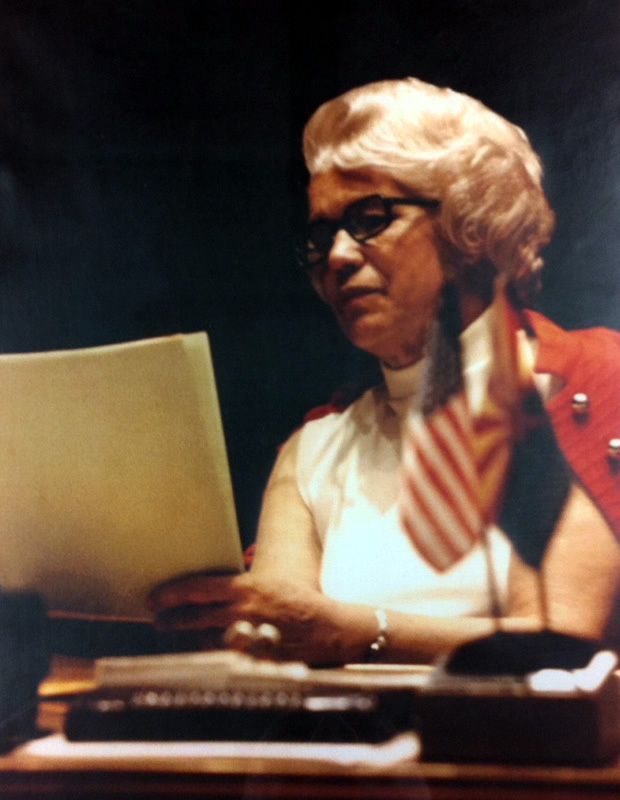 If you’ve graduated from an Arizona high school in the last two decades, you owe something to Carmen Cajero, the 90-year-old former state legislator who died Sunday. And perhaps the fact you got a diploma in the first place. That’s because until the 1980s, Arizona high schoolers had to pay for their textbooks. It was Cajero who, 72 years after Arizona became a state, finally convinced her colleagues it made no sense to charge high school students to go to school. She inherited the quest from her husband, Bernardo, who was president of the Parent-Teacher Association at Tucson’s Pueblo High School. Their daughter, Olivia Cajero Bedford, said he learned of kids who did not come to school. She said he would get a list of absentees and visit the parents. “They would tell him, ‘We’re embarrassed, we can’t afford the textbooks, so we’re keeping our children home,’ ” recalled Cajero Bedford who, like her mother and father before her, now is a state legislator. “That became his mission: to run for office and change the law,” she said. Bernardo Cajero was elected to the Legislature in 1966 but died seven years later, no closer to his goal. His widow, Carmen, 56 at the time, persuaded the Pima County Board of Supervisors to appoint her to finish out his term. And she continued getting re-elected every two years. But Cajero, a Democrat in a Republican-controlled Legislature, said in a 1984 interview that she’d had no idea how difficult it would be to accomplish the goal. “Even with the budget surpluses we were running in those days, in the area of $40 million a year, everyone said we had to save that money in case there was an emergency,” she said. It took until 1984 for the political winds to blow in Cajero’s favor. A gubernatorial commission on public education supported free texts as one of its recommendations. And Gov. Bruce Babbitt called on lawmakers to provide the necessary funds. But what may have finally turned the tide is that House Majority Leader Burton Barr signed Cajero’s bill as a co-sponsor, giving it the official blessing of the most powerful elected Republican in the state. Former House Minority Leader Art Hamilton said it also helped that Cajero — unlike other legislators, including himself — did not use the textbook issue as part of any larger political agenda. “They knew she just cared about the issue,” he said. That helped her overcome an effort by Sen. Jacque Steiner, R-Phoenix, to tack the issue onto her own legislation to require students to stay in school through the 10th grade, two years longer than required at the time. But Steiner was willing to provide free texts only to those whose family incomes qualified them for the federal free-lunch program. “When Jacque introduced her ‘only for the needy’ bill, I blew my stack,” Cajero recalled. She said those classified as needy may actually have more available cash than the working poor who do not have the benefit of welfare, food stamps and free medical care. She was known for her frugal living style, trying to stretch legislators’ pay as far as possible. During sessions she lived in a travel trailer set up at a Phoenix mobile home park. 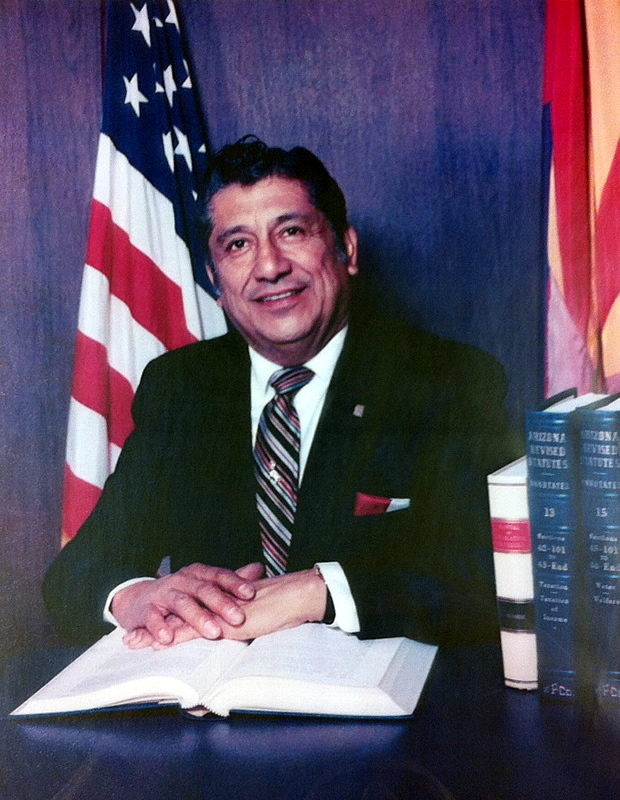 Cajero retired from the Legislature in 1996. She also is survived by another daughter, Monica Cajero, and two grandchildren. State senator Olivia Cajero Bedford didn’t have to look far from home for mentors. She credits her parents Bernardo and Carmen Cajero with having instilled in her a passion for civic engagement and public service. The family’s history of public service started with Olivia’s father, Bernardo “Nayo” Cajero. The Morenci native settled in Tucson and opened a barber shop in the historic barrio known as “El Hoyo.” It attracted a steady clientele of neighbors, local politicians, teachers and prominent community leaders. He entered politics encouraged in part by individuals affiliated with the civil rights organization Alianza Hispano Americana and members of the Democratic Party. In 1968, he won a District 10 seat in the Arizona House of Representatives. His work as a precinct and city ward committeeman, and his popularity as an astute businessman and president of Pueblo High School’s PTA, made his election an easy victory. In January 1973, Bernardo passed away following a series of heart attacks, just as he was beginning his third term as a state representative. Gov. Jack Williams left it to the Pima County Board of Supervisors to select his successor; Carmen Cajero, his widow, was selected to finish his term. Assuming office, Carmen matched Nayo’s zeal and soon established her own solid reputation as a skillful and smart legislator. Her calm but firm manner won her numerous friends and the respect of colleagues, many of whom fondly called her La Paloma. She was a champion for the elderly, the poor, women and children. She was particularly proud of introducing an education bill that had been first favored by her husband. The bill called for free textbooks for Arizona’s high school students. She fought for this bill for more than a decade; it was finally passed and signed into law in 1985. In the 1990s, she introduced a bill that provided state funds to the University of Arizona for bone marrow and cancer research. 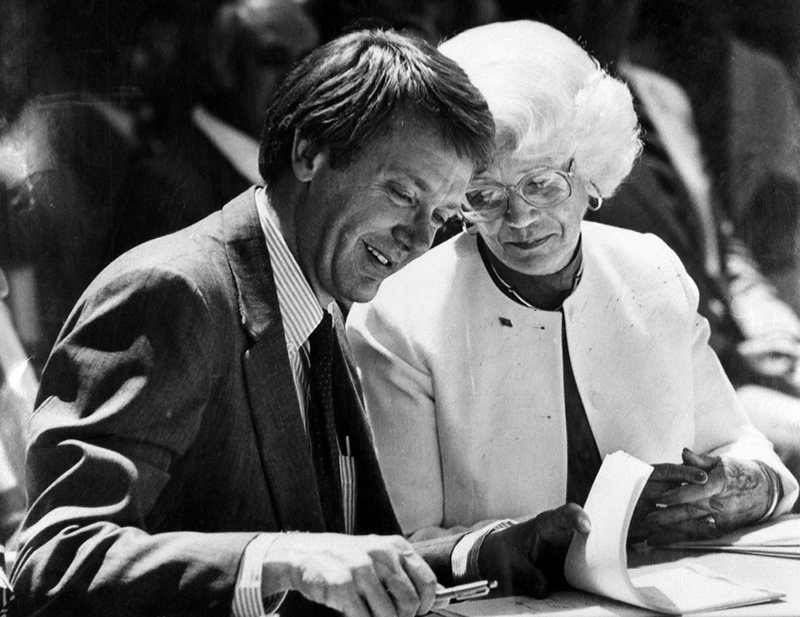 With her support, the university’s Cancer Research Center was established. She also supported funding for a clinic in her district to help victims of water contamination and pollution. The National Honor Roll of State Legislators acknowledged Carmen for her leadership and efforts to promote and protect the rights of women.